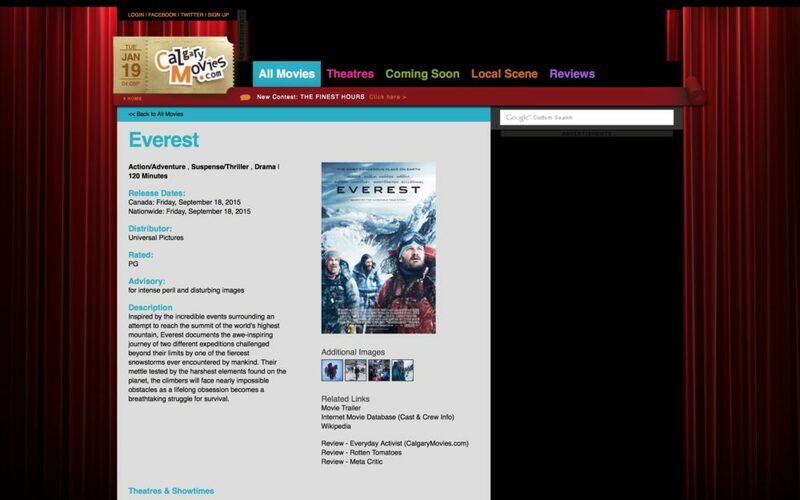 Calgary Movies approached Cornerstone wanting to completely rebuild their movie listings website using more flexible and scalable technologies. They also wanted to incorporate movie reviews and blog section. Cornerstone fulfilled all of these needs by developing a custom application in Ruby on Rails, featuring an automatic movie feed update, content management system, blogging functionality, and ad server. 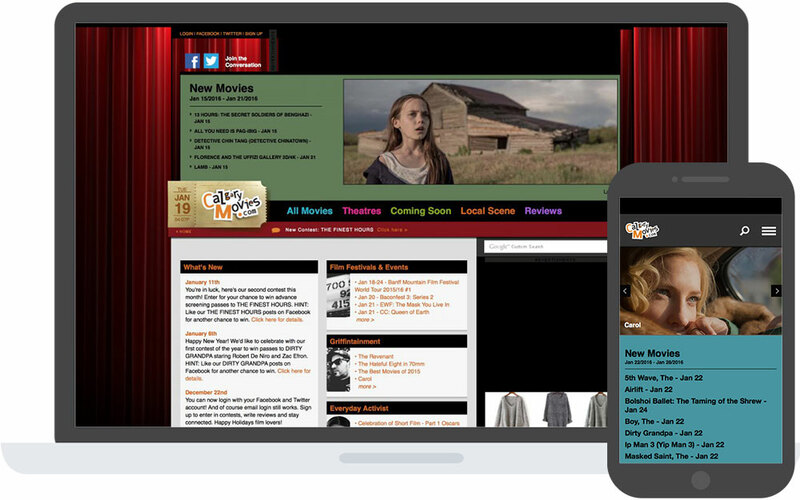 This site responds beautifully on all devices, from widescreen monitors to tablets to smartphones.